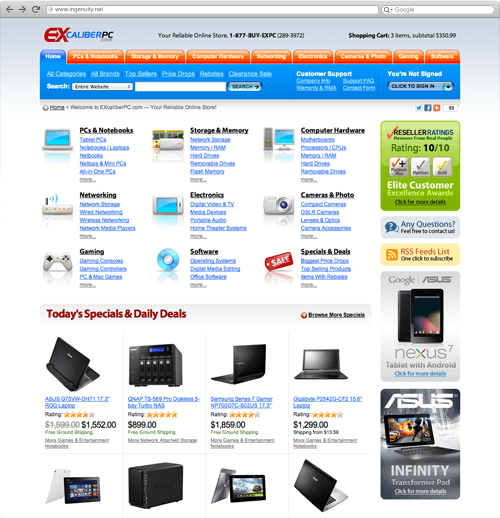 We are a professional web development team with huge experience in building successful websites and online stores. From startups and small partnerships to Fortune 500 companies, we provide our clients with complete solutions customized to fit their business needs. We prefer long-term contracts and take responsibility for all we do in every stage of development. We work close to our clients to understand their business and to design efficient solutions that become vital for them to grow and compete on the market. The key principle of our work is an individual approach to each client and every issue. We care about every aspect of the challenge to create products which we would be proud of. Our knowledge and web development experience allow us to build large online stores and state of the art websites. It's not about just getting things done, it's about making it perfect. We are in the same boat with our clients, we are highly interested in their success and we always do our best to support any feature requests and questions in a timely manner. 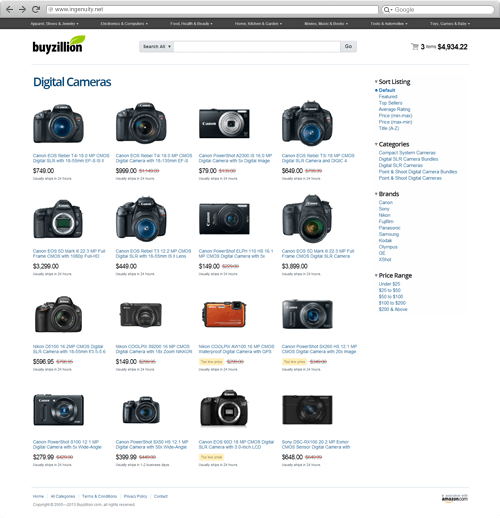 Large online store with a wide selection of products ranging from electronics and computers to apparel, toys and baby products. 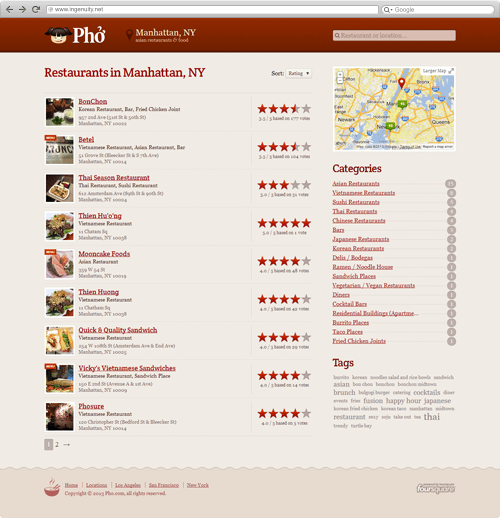 Comprehensive list of Asian restaurants featuring user reviews, recommendations, ratings, delicious deals and much more. 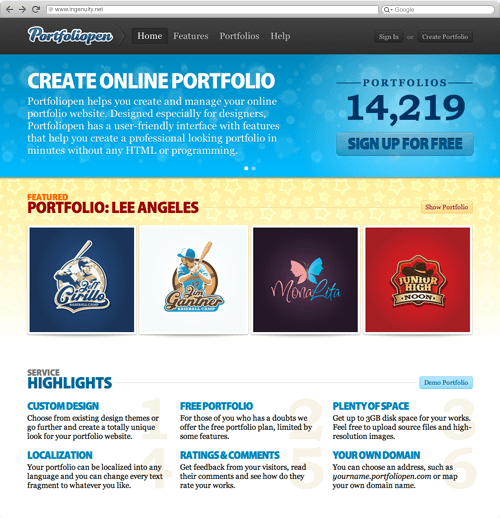 Web service for designers, photographers and artists that allows them create and manage their online portfolio website. Online retailer of computers, components, and electronics, utilizing our powerful full-scale ecommerce solution. For more than a decade we have been helping many retailers and startups not only to build state of the art websites and successful online stores but to grow their business, meet their goals, compete on the market and provide their customers with an outstanding service at a low cost. Our client base spans different industries, company sizes and business needs. We value every client and provide tailor-make services to each of them. Human Ingenuity is helping BISNet to maximize our investment in development of our proprietary software products. I look forward to seeing further positive results from the programs and to a profitable long term working relationship with Human Ingenuity. Human Ingenuity is customer oriented and doesn't hesitate to make the extra effort required to help us meet demanding schedules for new web promotions or to fix problems. We feel that Ingenuity is genuinely interested in our business and the impact that our website can have on our growth. This attitude is what we look for in a business partner. Human Ingenuity has given life to what was once just an idea. Those guys helped BK Computer to be more than just another "online store". Throughout the set up process, Ingenuity ensured that our interests, as well as those of our customers were at the forefront of all decisions. As a new company entering a well established market, we avoided many potentially costly pitfalls, only because of Ingenuity's genuine and personal interest in our success. We look forward to a long and mutually profitable relationship with Ingenuity. Human Ingenuity has partnered with IPG in the development and support of a services based unified ecommerce platform since 2000. We particularly like the fact that the ecommerce platform is integrated across the website, order management, suppliers and advertisers. Currently we have dozens of tier one suppliers and advertisers integrated into the ecommerce solution supported by Ingenuity including website hosting, maintenance and support. This frees our team to focus on the primary business objective of IPG - outstanding customer service and satisfaction. Ingenuity takes the same ownership in our business goals and success that we do, which is a real find among the ecommerce solution providers. Human Ingenuity without a doubt is the #1 ecommerce solution provider. They have helped us to grow our company with their ecommerce platform since 2004. With the help of Ingenuity's development team we have finally come up with online store that not only has a great design but easy to use for our customers, but also easy to use for our employees to charge orders, manage our products and a hassle free state of the art back-end. This gives us an outstanding edge to give the best customer service available to our customers. Thanks to Ingenuity now we offer over 150,000 items on our website at competitive prices. After researching the market for months on end we finally came across the Ingenuity ecommerce platform and quickly fell in love. Awesome design, features, functionality, performance, reliability and ease of use have made a difficult process much easier to manage from not only a customer shopping experience but to the full ecommerce back-end. Not only has the software been a superb fit for our vision the company has provided outstanding support, guidance and invaluable information to make the best of not only the ecommerce platform but great advice to help streamline our business and supply chain processes. Ingenuity came through and delivered. There is nothing else close to the services and support that Ingenuity has provided and I would highly recommend them to any organization seeking a robust ecommerce solution. We are proud to be a Human Ingenuity customer for life. © 1998—2019 Human Ingenuity Intl. Corp. All rights reserved.